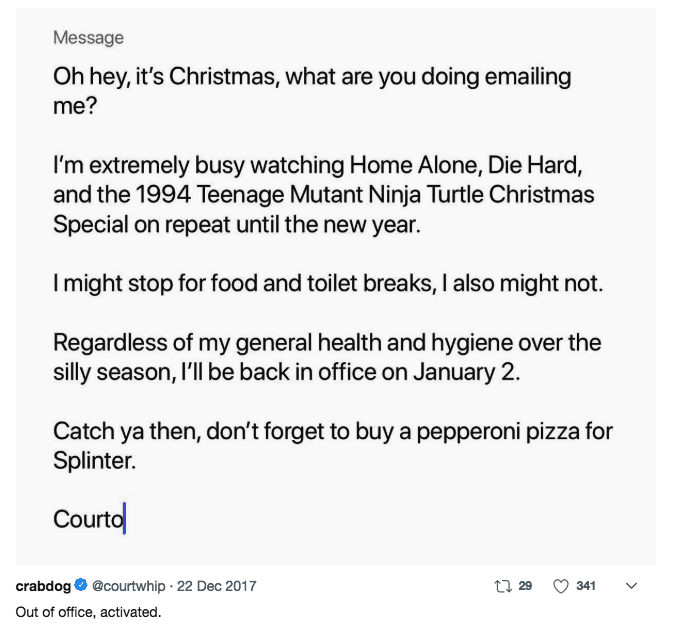 An out-off-office message is an automatic email sent by an email account that is temporarily not being checked by its owner. 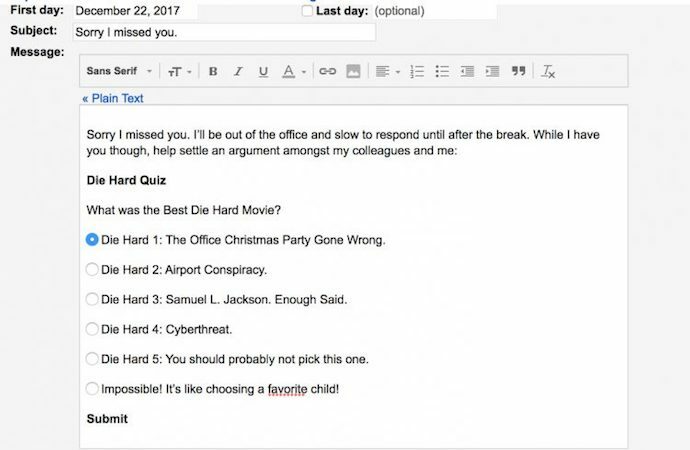 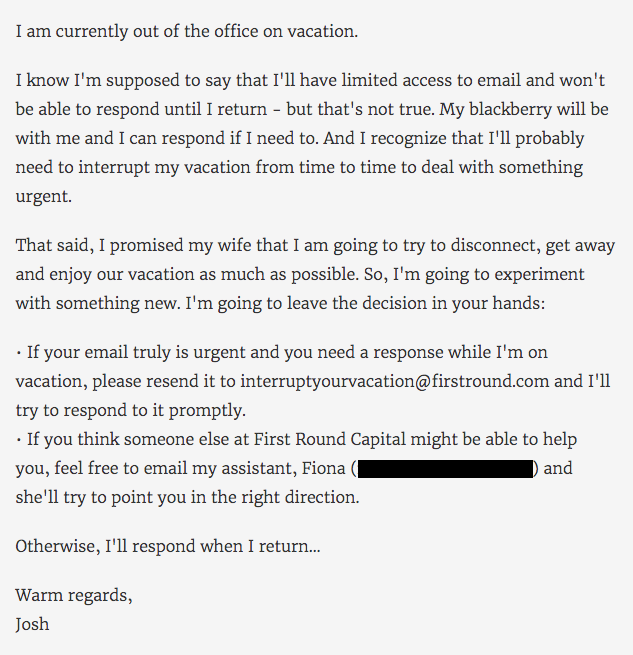 Every new email to this account will trigger the out-of-office message, which is sent directly to the original email’s sender. 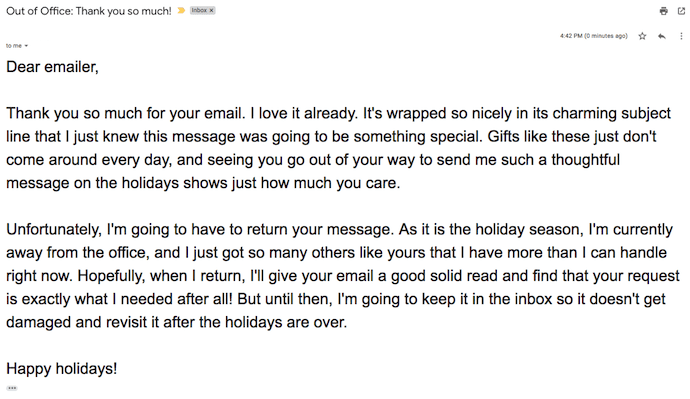 Most email service providers today allow you to activate this option and customize your message. 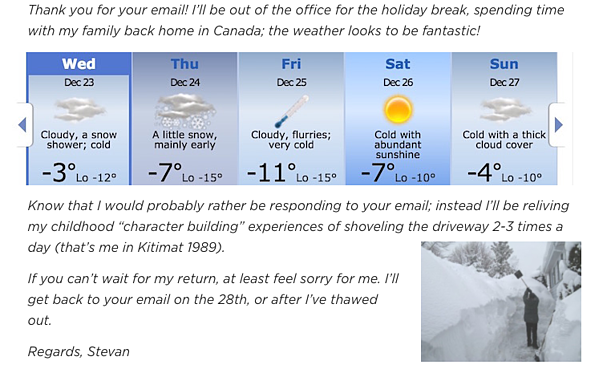 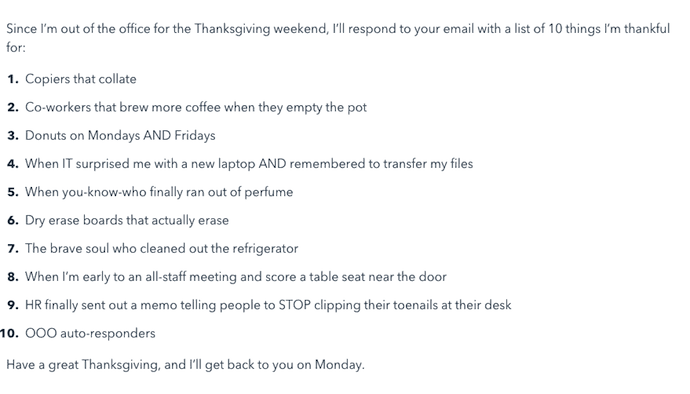 Also known as “autoresponder emails,” out-of-office (OOO) messages run the gamut. 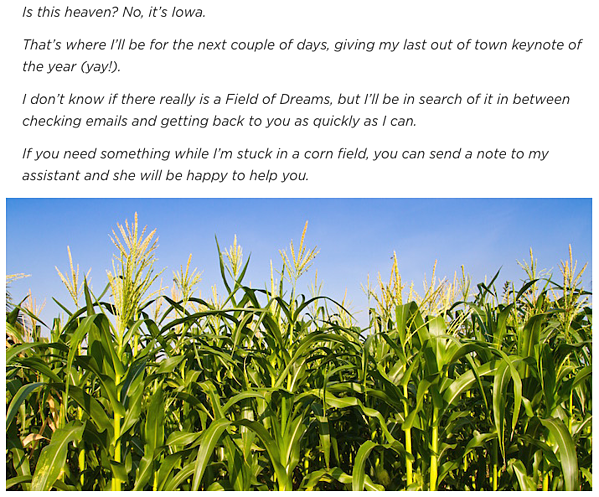 From funny, to clever, to snarky, we’ve come across some of the best — from Google, and from colleagues.